Valentine's Day at school was always so exciting when I was a younger. I loved filling out all my valentine cards for my classmates and decorating my valentine shoe box. Now that I'm a parent, it's so fun to watch my boys' excitement as they work on their valentines for their friends and family. This year I wanted a card option for them that could incorporate a small candy-free valentine treat, so I made these free printable valentines. 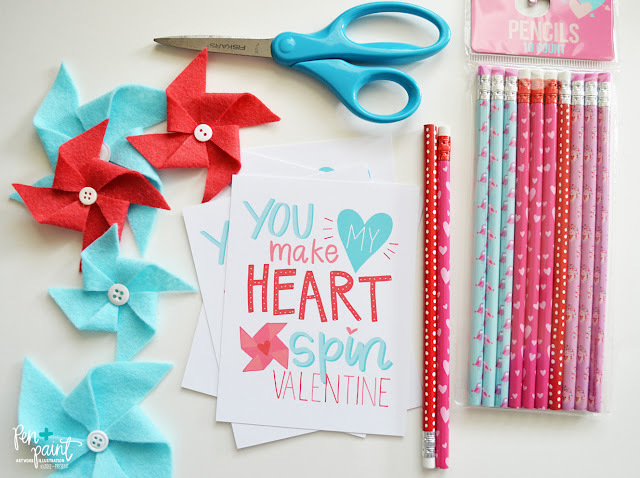 Just a few supplies, a little bit of time, and you will have some fun, and bright valentines! 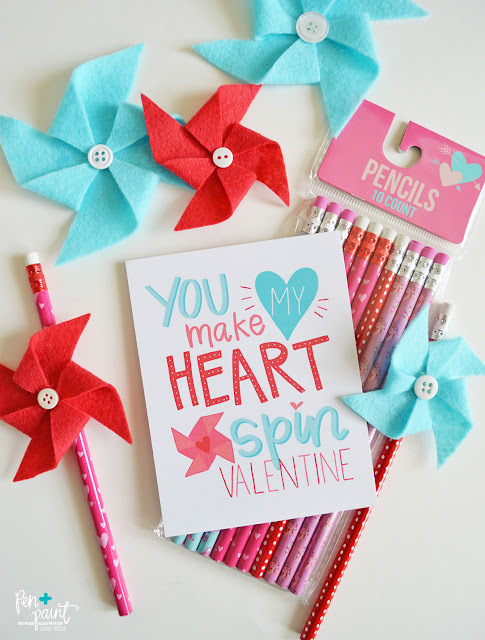 Once you have all your pinwheels made, just add a little dab of hot glue to the backs of the pinwheels, and attach to a pencil. 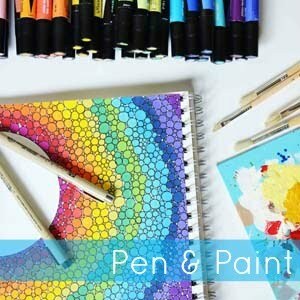 Add the printable cards, and you're all set! 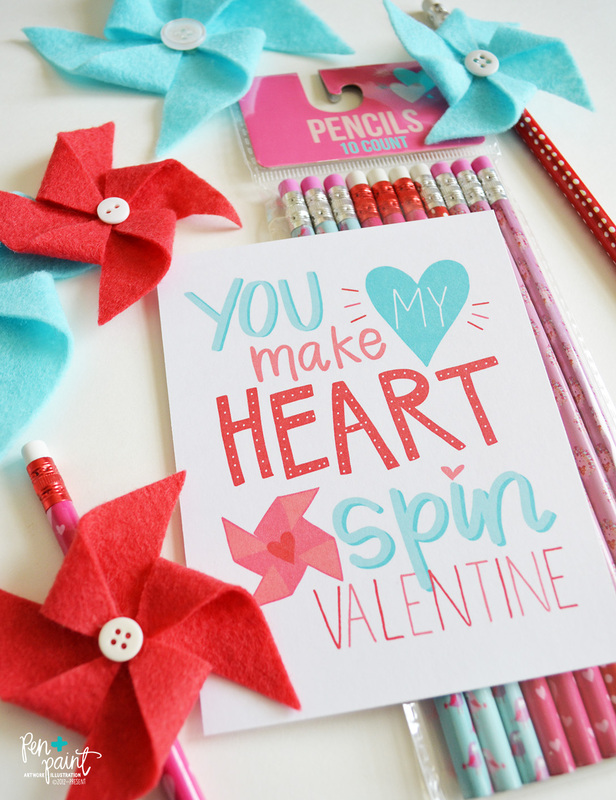 Also, you can view last year's free valentine printable here.